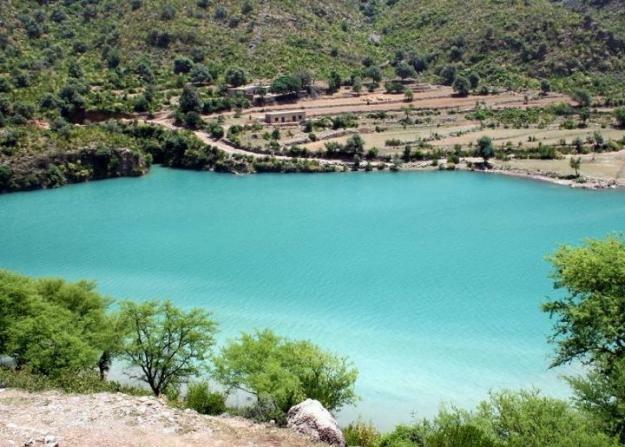 Khanpur dam one of the most beautiful dams is constructed over River Haro which originates from Abottabad. It is situated near the town of Khanpur in Khyber Pakhtunkhwa Province around 48 km (25 miles) from the federal capital Islamabad, on Taxila Haripur Road. Every year a spring carnival is arranged at the Khanpur dam. This Khanpur Dam Festival attracts many tourists from Pakistan and from around the world and it has many colorful and attractive events to show off. For a day trip/picnic, it is an ideal place where you can enjoy boating, fishing, swimming, adventure, water sports, Skiing, angling, Spelunking, Night caving, Rock Climbing, Team Rappelling, Rap Jumping and watching migratory birds during winter.